Preheat oven to 220ºC. Place the butter, sage, chilli, garlic, salt and pepper in a bowl and mix well to combine. Gently loosen the chicken skin and push the butter under using your fingers. Place on a baking tray and roast for 20–25 minutes until golden and chicken is cooked through. 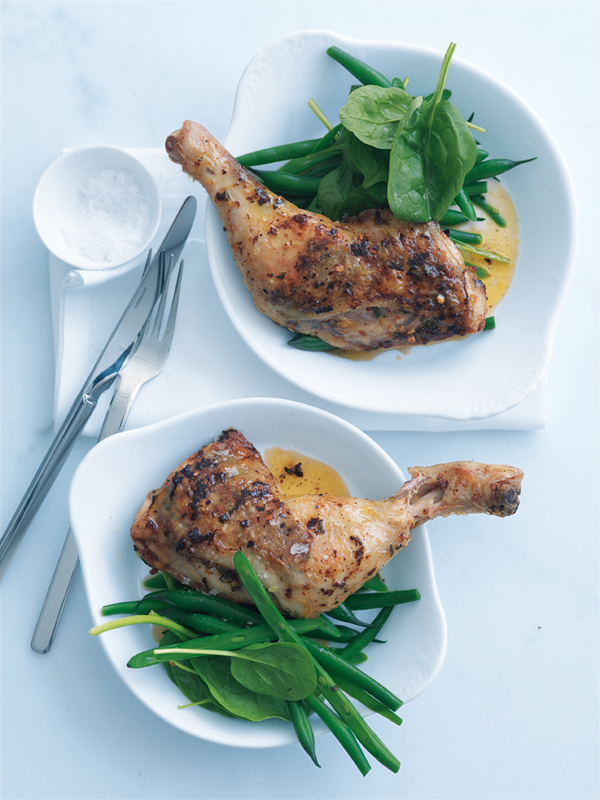 Serve with baby spinach leaves and steamed green beans. Serves 2.